Both phones are 'incredible' for taking pictures and boast the 'best video ever' for a smartphone, as well as media geared toward augmented reality (AR). During today's event at the Steve Jobs Theater, Apple finally unveiled the iPhone 8 and iPhone 8 Plus. Both phones will come stacked with tech aimed at high-quality pictures and video, as well as capabilities for other types of media such as augmented reality. For users who pride themselves on snapping up the latest and greatest hardware, Apple came prepared with stats. The iPhone 8 touts a six-core CPU, making it the "most powerful and smartest chip ever in a smartphone." All those cores are divided between two performance cores and four high-efficiency cores. In addition, the new phone has a second-generation Apple-designed performance controller to handle 70 percent faster multithread workloads. 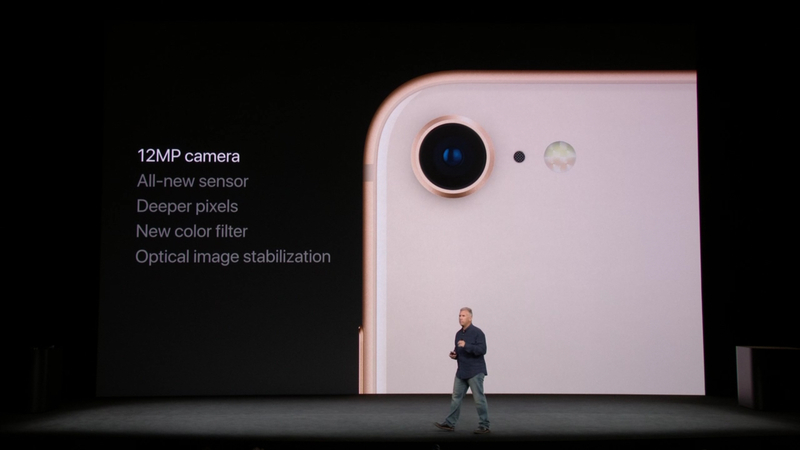 The iPhone 8's camera allows for deeper pixels, stabilization for optical images, and a new color filter. Meanwhile, upgrades such as a proprietary video encoder, real-time analysis for image and motion, and faster frame rates amount to the "highest-quality video capture" in any smartphone to date. Near the end of the presentation, Apple revealed that iPhone 8 will offer wireless charging. "Words can't describe just how much nicer it is to pick it up and put it down whenever you want to charge." iPhone 8 models will start at 64GB and go up to 245GB, starting at $699. iPhone 8 Plus comes in the same combinations and starts at $799. They'll be available on September 22, with iOS 11 rolling out later this week.